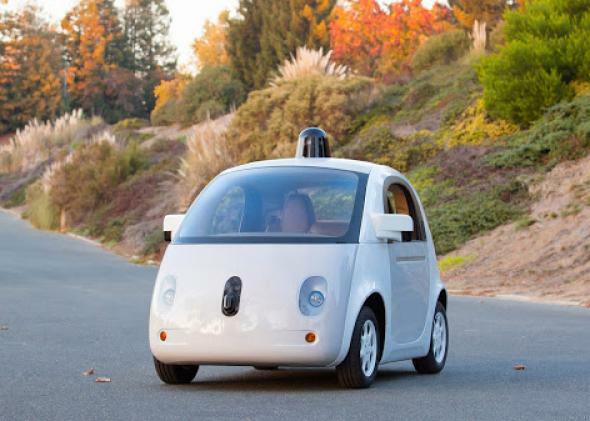 Google self-driving cars may be built by GM, Ford, Toyota, or Mercedes. Google’s first self-driving car prototype was assembled by Roush in Detroit. But the company may work with Ford, GM, Toyota and others to bring the technology to market. While the world’s major automakers were twiddling their cruise-control knobs, Google zoomed past them in developing the technology for the driverless cars of the (possible) future. Now, belatedly, major automakers are jumping on the self-driving bandwagon. The question is, will they hitch their hopes to Google’s technology, or try to develop their own? And will Google become a car manufacturer in its own right, or focus on providing software to Detroit, Germany, Japan, et al.? It’s too early to say with certainty how this will shake out. But a new Reuters report provides some fuel for the hypothesis that Google would rather partner with Big Auto than compete with it. “We’d be remiss not to talk to … the biggest auto manufacturers,” Google self-driving car director Chris Urmson told Reuters on Wednesday. “They’ve got a lot to offer.” Speifically, Urmson named GM, Ford, Toyota, Daimler, and Volkswagen as companies it had met with. “For us to jump in and say we can do this better, that’s arrogant,” he added, according to Reuters. On the other hand, Urmson also told Reuters that Google has not decided whether to build its own cars or focus on the software. Apparently, the fact that it would be “arrogant” for Google to go it alone doesn’t mean Google is ruling it out. In terms of actual news, that leaves us pretty much where we were six months ago, when Reuters reported that Google had met with “several of the world’s largest car makers” as early as 2012. Back then, however, Reuters’ report focused on how the two sides were “talking a different language” and couldn’t find common ground. Either the two sides have moved closer since July, or Reuters just needed a slightly different angle this time. I wouldn’t be surprised if there has been a real shift in tone, however. 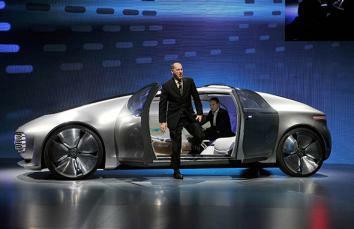 At the Consumer Electronics Show, Mercedes unveiled its own vision of cars’ self-driving future. As I wrote in July, auto manufacturing does not really fit with Google’s core strength as a company. Google doesn’t mind building its own gizmos in order to explore a new idea. That’s what its Google X lab is all about. But the company’s experiences with Motorola and Google Glass may have convinced it to leave the mass production of consumer hardware to others. The automakers, meanwhile, find themselves in a rapidly escalating race to integrate high-tech features that will capture the public’s imagination. Several that initially seemed wary of self-driving technology acknowledged at this year’s Consumer Electronics Show that it might in fact represent their industry’s future. Ford isn’t interested in building the first self-driving car, but it also doesn’t want to be the last company stuck in the manual-driving era if all its competitors are embracing automation. For that reason, the first automaker to officially partner with Google may trigger a wave of envy and denial among its rivals. But behind the scenes they’ll be scrambling to follow suit. Meanwhile, the harder news from Wednesday’s Reuters report is that Google is already partnering with some of the industry’s largest suppliers to build its self-driving prototypes, with the goal of bringing its technology to market by 2020. Urmson confirmed reports that its first prototype car was assembled by Roush in Detroit. The company is also using components from Continental AG, ZF, and LG Electronics, and its microprocessors are made by Nvidia. I wrote last week about Nvidia’s dive into self-driving technology, and what it represents for the auto and tech industries. The takeaway is that Google has helped to trigger a revolution in the automobile industry—one that finds the world’s car companies and tech companies coming together as never before. The Next Big Thing in Tech Isn’t a Phone or a Watch. It’s Your Car.